Our collection of water features near Cloughmills makes our business the only place in the county with so many garden fountains available in stock. The high-quality equipment, materials and tools we have in our inventory are also used by our customers to build a variety of garden and patio water features. Homeowners in Cloughmills and other towns nearby are taking the European tradition of maintaining beautiful gardens to the next level by adding beautiful water bodies in their small gardens. 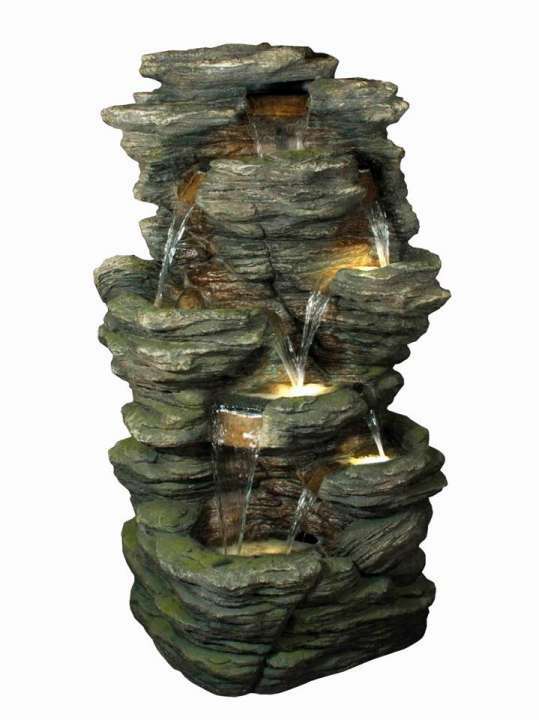 Garden Fountains: We stock a great number of garden fountains near Cloughmills in our inventory. These products come in various elegant designs and are made with a variety of materials so you can display water fountains that you really want for your garden. We have marble fountains with quaint looking finials, urn like collectors with multiple hoses and a cistern base, classic tiered fountains, traditional bubbling fountains, and various other designs that you can take home to install in your garden as is. These fountains have the biggest share in our displays for water features near Cloughmills. Garden Ponds: We offer our customers the expert advice, materials and tools to build beautiful garden ponds. A number of our customers have already used creative ideas and our garden products to build cascades and ponds filled with our gravel to create beautiful impressions that catch their guests’ eye on every visit. Garden Waterfalls: When it comes to garden waterfalls near Cloughmills, we have a number of ready products that you can add to your garden. At the same time, our wide range of landscaping materials and advice are available for our customers to build bigger garden waterfalls with or without ponds in their base. Along with a long range of products, materials and tools, we offer our customers our expert advice that can be availed in our premises during our usual business hours. When you visit our premises, you will find experts on gardening and water features near Cloughmills who will guide you through any questions or concerns you might have. They will also help you get the ideal products in line with your budget and the layout of your garden. You can place your order for our water fountains and garden waterfalls using our website and will arrange for your purchases to be delivered to your doorstep. Visit our premises for advice or buy your water features near Cloughmills via our website!